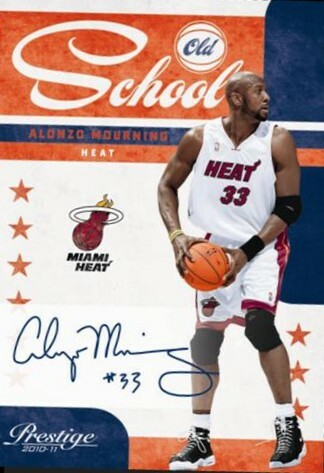 Deep Autograph Checklist of NBA Stars - Kobe Bryant, Carmelo Anthony, Shaq, Steve Nash, Derrick Rose, Rajon Rondo, Magic Johnson, Gary Payton, Alonzo Mourning, and more! 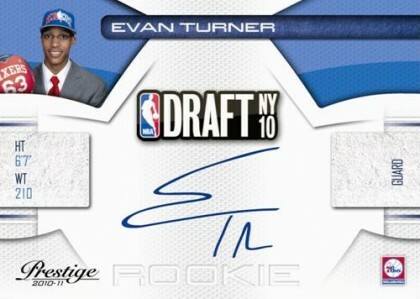 Prestige tips off the 2010-11 Basketball Season with a fresh class of rookies to chase and over 20,000 on-card of autographs of stars both past and present. From the early details, it looks like Panini's 2nd season in basketball could be markedly better than it's first. You can't go wrong with over 20,000 on-card autographs! 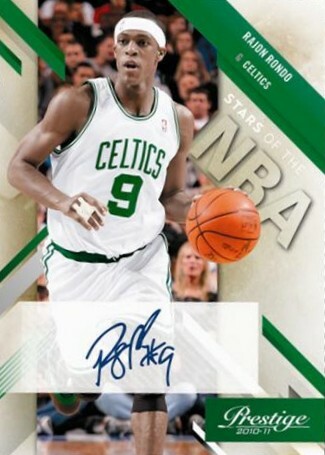 I thought Panini made major progress with 2010 Prestige Football, hopefully we can see a similar amount of improvement with 2010-11 Prestige Basketball. 2010 11 Prestige Rak Pak Box. 12 PACKS 40 Cards per pack. HUGE VALUE! !